SHOP TALK is a new series on Six Degrees that examines institutional practices within art organizations through critical dialogues initiated by Six Degrees editors. Taking place across multiple installments, each edition of SHOP TALK brings together a selection of interrogative exchanges between New Museum staff, artists, and other experts to explore methodologies that impact forms of collecting, archiving, research, and public engagement within the field of contemporary art and, often specifically, within the New Museum. SHOP TALK will aim to facilitate expanded discussions on questions surrounding these methodological concerns in the face of shifting contemporary practices, while also reassessing the nature of current Museum policies in relation to ongoing institutional growth, through the lens of recent projects and the development of new programming structures. The first edition of SHOP TALK, led by Travis Chamberlain, Associate Curator of Performance and Manager of Public Programs, and Tara Hart, Digital Archivist, will closely examine the New Museum’s evolving responsibilities to documenting and archiving performance. This examination comes out of their work with artists contributing to the multiplatform presentation “Performance Archiving Performance,” organized by Chamberlain as part of the fall 2013 R&D Season: ARCHIVES. Alongside an evolving engagement with performance and need for legibility of research strategies unique to performance as a medium, the Museum is particularly concerned with providing evidence of ephemeral events and time-based practices that resist traditional modes of documentation and exhibition. When it opened in 1977, the New Museum’s founding mission was centered around challenging the very notion of a museum’s role in society and its position as collector and preserver of revered material artifacts of culture. Early on, the Museum focused on showing art that was process-oriented, site-specific, and ephemeral, including works of performance, theater, and dance. An early exhibition central to these considerations was “Choices: Making an Art of Everyday Life” (1986) curated by Founding Director Marcia Tucker. Within a history of attempts to exhibit and support dematerialized work, the New Museum also began presenting performance through an event-based structure that was often separate and distinct from the production of exhibitions. 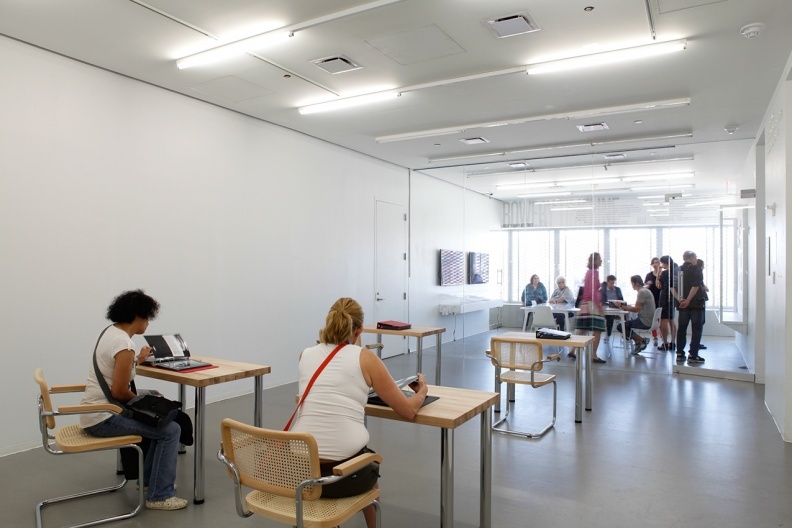 In 2007, when the New Museum moved to its current location on the Bowery and had its first dedicated theater space, the production of performance-based events increased considerably. Live performance has developed into a primary element of the Museum’s current public programming, and now includes performance residencies in which artists are invited to develop ideas and new work over extended periods of time. Within the residency format, performance is often leveraged less for presentation purposes and more for its ability to respond to ideas in real time through open-ended, process-driven, and participatory modes of inquiry posited as research. Artists are invited to share their research (and its processes) through open studios, discussions, Resource Center exhibitions and presentations, online publications like Six Degrees and, as this series of discussions will consider, the Museum’s archives. In this way, the Museum has begun to forge new dynamics between expanding performance practices and various institutional modes of presentation, exhibition, documentation, archiving, and dissemination. Last fall, as part of the R&D Season: ARCHIVES, produced by the Department of Education and Public Engagement, “Performance Archiving Performance” brought together artist projects that drew upon the concept of the archive as medium, exploring ways in which performance might present a record of itself. Driven by theoretical and pragmatic questions about the function and constitution of archives relative to performance, the artists involved have disparate practices and different relationships to, expectations of, and desires for archives in relation to their own performance work as well as preserving the legacies of others. The projects included in this multiplatform presentation—by a canary torsi, Jennifer Monson, Julie Tolentino, and Sara Wookey—conceived of the relationship between performance and archives as individual systems. Through these projects, the acts of recording, storing, indexing, and redistributing are as much a part of the artwork as the performance itself. As a result, the site of performance—its position in time, space, and form—was placed in question so that the actual process of archiving may be interpreted as its own mode of performance. Constituted by artist residencies, performances, public talks, and open studios in the New Museum Theater, “Performance Archiving Performance” also included an exhibition component in the Museum’s Resource Center. Notably, the exhibition occurred alongside a presentation of documentation from Chris Burden’s early performance works, which were on view in the adjacent Fifth Floor gallery as part of the exhibition “Chris Burden: Extreme Measures” (2013). Documentation presented in both shows addressed bodily limits and specificity in performance works—albeit with different approaches to the production and dissemination of performance documentation within exhibition frameworks. Inspired by the range of modes for recording and preserving performance offered by each of the projects in “Performance Archiving Performance,” these works have since served as a prompt for the Museum to reflect on its own practices for documenting performance. Over the next few months, conversations with three of the artists whose archiving projects were included in “Performance Archiving Performance” will unfold in SHOP TALK. These discussions come out of Chamberlain’s curatorial work with the artists and from a series of meetings in the Museum’s archives where Hart shared details on her work as the institution’s Digital Archivist. 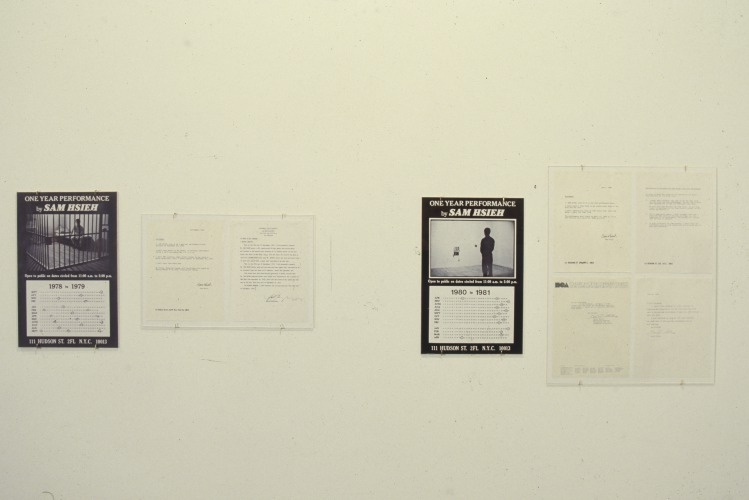 Published between April and June in five installments, these discussions will address ideological positions relative to the individual artists’ projects and to archives more broadly, while interrogating the New Museum’s current methods for documenting performance and evaluating how access to this material is provided via the Museum’s Digital Archive. These discussions will figure into the Department of Education and Public Engagement’s redevelopment of the Museum’s current practices for documenting performance and presenting these archival records online. In May, in “Terms of Submission with a canary torsi,” and July in, “The Museum’s Methodologies with a canary torsi,” Yanira Castro, Director and Choreographer of a canary torsi, and collaborator Kathy Couch speak with Chamberlain and Hart about the audience-activated dance archiving project “The People to Come” (2012–13) and how the online archive they built for the project was conceived as an integral component of the performances themselves. They address questions surrounding authorship, rehearsal, and research in relation to understanding works of performance. In the second part of the discussion, a canary torsi ask Chamberlain and Hart questions related to the representation of performance’s liveness through documentation, paying particular attention to the way in which records of performance are presented online through organizational structures and taxonomic systems. Questions about the Museum’s responsibility to document performance, and how this can relate to forms of audience engagement, are also addressed in relation to recent public programming. In October in “Research through Dance with Jennifer Monson,” choreographer and performer Jennifer Monson speaks about the role authorship plays in her project “Live Dancing Archive” (2011–ongoing). The conversation will also delve into the relationship between highly structured organizing systems that are dependent on software and the largely indeterminate systems found in nature. In relation to this, Monson discusses her motivations for using CollectiveAccess to structure the online component of her project (incidentally, this is the same open-source, collection management software used by the New Museum to manage its Digital Archive). Later in November, Chamberlain and Hart will examine ways in which Julie Tolentino’s project “The Sky Remains the Same” (2008–ongoing) interrogates values of monumentalization by considering whether traditional archival logic privileges material remains and how an archive might remain with the body in their talks given last Fall as part of the Radical Archives. The culmination of this edition of SHOP TALK in the new year will be a conversation between Burton, Director of Education, and Chamberlain in which they discuss what they have learned from working with the artists in “Performance Archiving Performance” and how this project as a whole might influence the New Museum’s current documentation and archiving methodologies.